January is a month of new beginnings and Indian TV channels are taking that quite seriously. Almost every Hindi general entertainment channel has a new show airing this month. Colors TV started the New Year with quite a few fresh shows such as Kesari Nandan, Gath Bandhan, and Khatron Ke Khiladi 9. Two more shows will launch soon – Jhaan si Ki Rani and Courtroom. Channel’s new shows span across different genres including drama, sports, historical and crime. Another new show to launch this month is Zee TV’s Raja Beta. The show features Rrahul Sudhir as a highly qualified gynecologist, Vedant, who is adopted by Tripathi family where barely anyone shows any love or care towards him. Joining the new show wagon is Jasmin Bhasin who will be joining Star TV’s drama-comedy Dil Toh Happy Hai Ji. Another new show joining Star network is Ek Thi Rani Ek Tha Ravan on Star Bharat, which will address the sensitive issue of women’s empowerment. 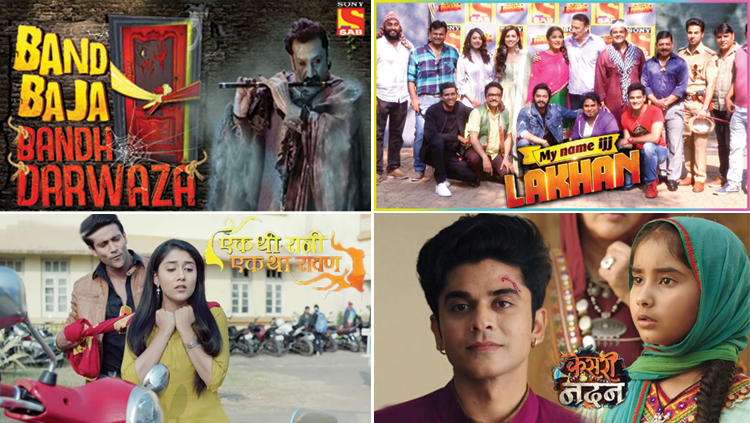 Sab TV will also be airing some new shows from January, such as a horror drama Band Baaja Bandh Darwaza and a comedy drama My Name Ijj Lakhan, featuring Shreyas Talpade, Yuvika Choudhary, Archana Puran Singh, Parmeet Sethi. Actress Saumya Tandon who is best known for her role in the show Bhabiji Ghar Par Hain, was blessed with a baby boy on January 14. The actress broke the news of her pregnancy last year on Instagram, with a maternity photo shoot. “Woke up feeling like a magician today, feel like a superhero without a cape most days now, filled with blessing and godliness. Constantly excited by the buzzing in my head and the sudden pump of hormones; this promises to be a fascinating ride. The big news – I’m pregnant and trying to soak in every moment of it! Need your best wishes throughout,” she captioned. Saumya has been quite active on social media during her pregnancy, sharing photos of her baby bump as well as videos of her yoga sessions. She even shared the first photo of her baby boy with her fans on Instagram. Saumya tied the knot with banker Saurabh Devendra Singh in December 2016, after a 10-year-long courtship. This is their first child. Apart from playing Anita in Bhabiji Ghar Par Hain, she is also well known for playing Kareena Kapoor’s sister, Roop, in Imtiaz Ali’s Jab We Met. She made her TV debut in Aisa Des Hai Mera in 2006. Viacom 18’s general entertainment channel is all set to launch its first original show, Navrangi Re, a limited drama series. For the new show Viacom 18 partnered with the Bill & Melinda Gates Foundation and BBC Media Action. The 26-episode series will be a one-of-a-kind drama, with an underlying behavior change message on sanitation. 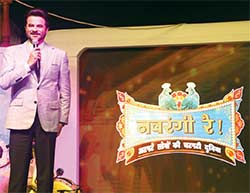 Navrangi Re will be on air from February 2, and will be laced with satire. The show wants to bring forward the importance of Faecal Sludge Management through entertainment. Barkha Dutt will be back on the small screen with a new English news channel, Harvest TV. Two additional high-profile journalists Karan Thapar and Punya Prasun Bajpai will join her on the new channel, which is owned by Veecon Media. 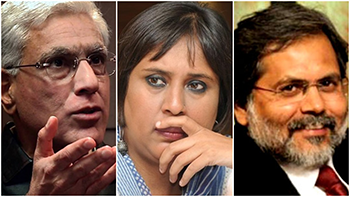 Barkha Dutt and Karan Thapar will host primetime shows on Harvest TV. Other prominent television anchors and journalists to join the channel are Vineet Malhotra (from India Today) and Seemi Pasha (from Times Now). According to reports, Congressman Kapil Sibal is one of the promoters of Harvest TV. Apart from Harvest TV, Veecon Media also has licenses for Hindi and other regional language channels. Harvest TV will launch on January 26, which coincides with the launch date of Arnab Goswami’s Republic Bharat. Republic Bharat is the Hindi channel of Goswami’s Republic TV. There are more news channels to be launched soon on the small screen. There is another new Hindi news channel to be launched soon helmed by Hemant Sharma, who formerly worked with India TV. He, along with journalists Vinod Kapri and Ajit Anjum, is working on launching the new channel for TV9 group. If reports are to be believed then Ekta Kapoor’s Naagin 3 will be going off air soon. 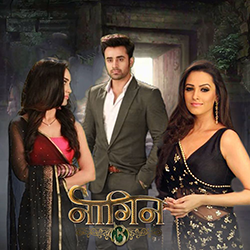 Naagin 3 features some big names from Indian television such as Karishma Tanna, Surbhi Jyoti, Rajat Tokas, Pearl V Puri and Anita Hassanandani. The last episode of the show is supposed to air on February 12. The third season of supernatural saga Naagin has done quite well on the TRP charts, just like its first two season. The first season of Naagin, featuring Mouni Roy and Adaa Khan, was a huge hit with the TV viewers, which topped TRP charts by beating all the top saas-bahu shows. And, news of Naagin 3 going off air so soon will surely be heartbreaking for ardent fans of the series. There has been no official confirmation yet on the show coming to an end from either the producers or the channel. The show recently saw entry of a number of new actors like Aditi Sharma, Mreenal Deshraj, Sangeeta Chauhan and Maya Salariya. Naagin is rumored to be replaced by another Ekta Kapoor show, Kavach 2. The first season of Kavach starred Mona Singh and Vivek Dahiya in the lead and was an instant hit.